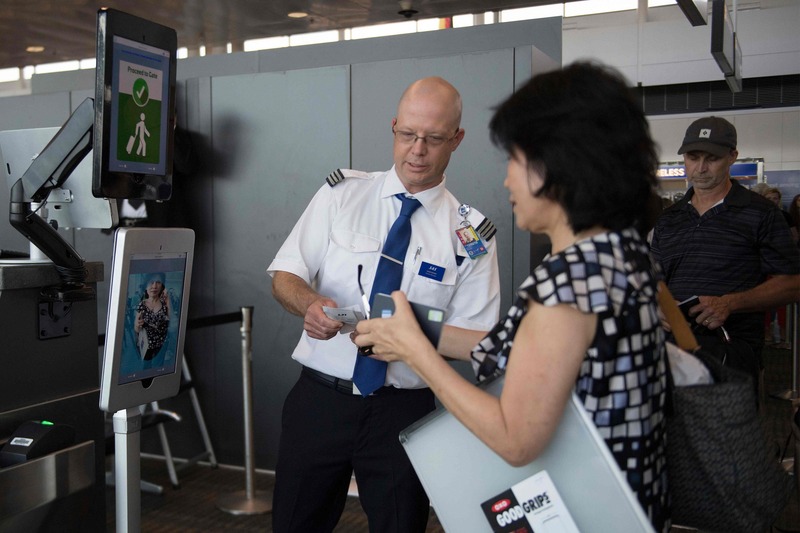 DULLES, VIRGINIA - As facial recognition technology generates intense scrutiny, a new system unveiled at Washington Dulles International Airport is being touted as a “user-friendly” way to help ease congestion for air travelers. 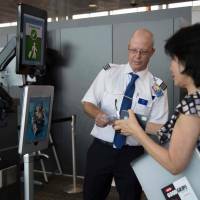 Officials at Dulles unveiled two new face recognition systems Thursday: one to meet legal requirements for biometric entry-exit records, and a second to help speed processing of travelers arriving on international flights by matching their real-time images with stored photos. The growing use of facial recognition has ignited debate over surveillance and privacy around the world, but officials said this system is a way to help reducing annoying lines and wait times without compromising security. “No more fumbling with your boarding pass when you have two carry-ons, maybe a kid; no more trying to find a QR code or trying the refresh your screen,” McAleenan said. In one test for the system, McAleenan said, the boarding 350 passengers for an Airbus A380 aircraft was completed in 20 minutes — half the normal time. The 26-year-old man traveling from Sao Paulo, Brazil, sought to enter with a French passport, but the facial comparison biometric system determined he was not a match to the passport he presented. A search revealed his authentic Congo identification card concealed in his shoe. “We’ve seen these technologies spread from airports and now they are used in all kinds of venues, including in some high schools,” Stanley said.